One of the best ways to use a survey is to conduct market research on your users. A market research survey will give you valuable insight into who your audience is and how they feel about your brand. They also help you ensure you are delivering your content to the “right people.” You can use the information collected to build a buyer persona. A buyer persona ensures your marketing team understands who your ideal customer is so they can talk to them. If you need help building out your buyer persona check out Hubspot’s Buyer Persona Template. If you want to fail as a marketer, deliver one giant email to your entire customer base and hope that half of them like it. If you want to fail as a marketer, deliver one giant email to your entire customer base and hope that half of them like it. With the technology available to you as a marketer, you can slice down your audience into micro-segments. This means you are delivering the Right Message at the right time. Segmented and targeted emails generate 58% of all revenue. (The Direct Marketing Association, 2015) (Source: https://www.hubspot.com/marketing-statistics). One of the easiest ways to start segmenting your audience is to ask them what kind of content they want to receive. On our Chasing Natives campaign, we asked enrollees which fish species they were interested in. Now when we send emails, we know how to target individuals who care about one species. 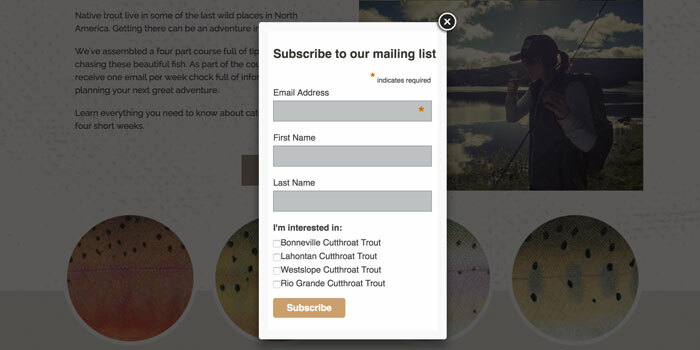 Segmenting your audience in this way can have a dramatic impact on your unsubscribe rates. You can occasionally ask your audience if the content you are creating is providing value and helping them overcome their challenges. In this way, you can directly assist them by providing topical information on a regular basis. This can provide you immeasurable feedback on your content and even spark new creative ideas for content. In fact, we want to ask you to help us create content for the upcoming ICAST/IFTD show in July. To do so, we put together a very short survey on Survey Monkey. If you could take 5 mins and fill it out, it will help us make we are delivering valuable content to you. What about selling my product, you never mentioned any of that? can help you move more product.